Currently viewing the tag: "mortgage"
To put it simply, without access to finance people can’t buy property. And they quickly become discouraged or lose interest in property investing. 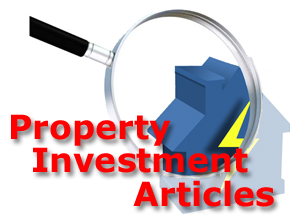 Or, if they already own a few investment properties, their property investing business can stall and stagnate. They are forced to shelve their dreams of achieving financial independence… spending time with their loved ones… and …doing the things they love. So how do you get around the problem of finance? You see, believe it or not, you can buy property using NONE of your own money. And there’s a couple of ways you can do this. One way is by using a clever strategy when you buy the property using none of your own money, using alternative sources of finance. Hint; NOT mortgage companies or banks. There isn’t room in this short post to provide you with all the details about buying property using none of your own money. Buy Property With None Of Your Own Money – The Essential How To Guide. The easiest way to start buying houses with none of your money – Simple… when you know how. How to make every property deal a no money left in or even a no money down deal – Use this low risk time proven strategy. Bad credit? How to get unlimited amounts of finance to buy property regardless of your credit history. How to use the CREST formula to raise finance – Works even if you’re new to property investing. The most common mistake people make when talking to people with money that repels them instantly – What to say instead! When going to the gym allows you to buy your next property – Strange but true! When property investors discover these secrets they will be able to take on multiple property deals at the same time, enabling them to buy more properties faster allowing them, and you, to reach your financial goals much faster. No more being rejected by banks or mortgage companies. No more waiting for weeks to get finance. Instead property investors will be able to raise unlimited amounts of finance, allowing you to keep buying properties when other property investors are unable to even raise finance. So get your special report today. Click on the link and download the report. There’s no obligation or commitment, it’s packed full of solid practical content you can read today and start profiting from tomorrow. This free download is set to become the most talked about report of 2015 with 3 Strategies detailing exactly How To Buy Property With None Of Your Own Money.. According to the Office for National Statistics (ONS) latest Index of Private Housing Rental Prices, tenants in the UK’s private rental sector (PRS) have seen rents increase by an average of 2.5% in the 12 months up to June 2015,. PRS rents increased across all English regions during the year with rental prices increasing by 3.8% in London, while the overall Consumer Price Index (CPI) inflation stood at 0% over the same period. According to a new prediction from the professional services network – Price Waterhouse Cooper, (PwC), the number of tenants in rented properties will outnumber the overall number of property owners with mortgages in less than a decade. How To Really Profit From Property – Free Live Training! Reena Shares How To Get Over £100k Profit From Property In Just 9 Months! Our friend, Reena Malra, “The Queen of Lease Options” will be running a Free Live Online Interactive Training and Case Study session on How To Really Profit From Property this week on Wednesday 10th June @ 8pm. After attending Reena’s last exceptionally informative online training session, I can tell you it really was really insightful to hear, not only from Reena, but also from one of her very successful lease option mentee’s on how they are making huge profits from property! We have been into property for a number of years and we learned so much from Reena’s last session that it opened our eyes and a few doors and we have only utilised just a few of the tips we learned, so this session is very exciting for us, that’s why we are sharing this fantastic FREE opportunity with you! Register Here For This Free, Live Interactive Training! New research by a specialist mortgage lender has discovered that an amazing 28% of would-be property investors don’t know how to apply for a buy to let mortgage in order to finance their property purchases. The figures show that 1 in 4 potential property investors considering investing in property to boost their retirement income don’t know how to apply for a buy-to-let mortgage to get started on their property investment journey. The research, conducted by specialist mortgage lender Kensington, also found that 54% of people approaching retirement age would consider investing in property using buy-to-let mortgages in order to help increase their income in retirement, but many didn’t know what they needed to do or what evidence to provide in order to apply for the correct type of mortgage. The leader of the Green Party, Natalie Bennett has attracted a great deal of criticism after she attacked buy-to-let landlords operating in the private rented sector (PRS) blaming them for helping to cause the UK’s housing crisis. Ms Bennett cited extremely high rental returns for landlords with property in the UK private rental sector in the recent television debate between the opposition leaders. She referred to a report published by the Wriglesworth Consultancy and lenders Landbay stating that there had been a 1,400% return for buy-to-let landlords since 1996. But the report’s authors suggested that the calculations and methodology involved were far more complex than the Green Party leader had portrayed. The Council of Mortgage Lenders (CML) have predicted that gross mortgage lending in the UK will increase by 16% over the next two years. The CML says gross mortgage lending in the UK reached around £207 Billion (GBP) in 2014 and they firmly believe that gross mortgage lending will grow by 7% to £222 Billion (GBP) during 2015. Following that, the CML also forecast a further 8% increase to £240 Billion (GBP) in 2016, up 16% when compared to gross mortgage lending in 2014. While the CML are happy to forecast 2 years of mortgage lending growth, it acknowledges that the pace of growth has slowed compared with the 18% recorded from 2013 to 2014, with gross mortgage lending increasing from £176 Billion (GBP) in 2013 to £207 Billion (GBP) in 2014. In its analysis, the CML said that the stamp duty reforms announced by the Chancellor, George Osborne, in the Autumn budget would help boost overall mortgage lending activity, following the lull encountered in the summer of 2014. The Bank of England has warned that up to half a million property owners could be at risk of falling into mortgage arrears once interest rates rise from their historic 0.5% low. The BoE said the number of UK property owners expected to run into difficulties would increase by a third to approximately 480,000 in the event of a two-percentage-point increase in the cost of borrowing. The BoE stressed the proportion of borrowers having trouble paying their mortgage loans should remain well below the record mortgage arrears levels of the early 1990’s, when the UK suffered its worst post-war property crash, provided that earnings incomes rose alongside interest rates. Does House Price Index Data Provide A Clearer Picture Than The Newspaper Headlines Suggest? There can be a great deal of contradiction with the rising number of published House Price Indices, (HPI), that attempt to show the general public what is happening in the UK residential property sales market. Many Spotlight subscribers are already aware that some of the published House Price Index data provided by mortgage lenders only relate to residential property sales, whilst others relate only to property asking prices. 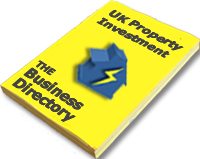 However, property purchasers are often told to use the official published Land Registry data as a true guide to property prices rather than rely on any house price index data, but Land Registry data is a few months out of date because the Land Registry only record actual completed residential property sales. Consumers need to know if all the HPI data is anywhere near accurate before they decide to part with cash to purchase a property, and with some degree of disparity between different indices the information provided can be confusing. However, one thing is becoming very clear – UK property price growth is slowing! Are UK Property Price Rises About To Fall? A Seasonal Slowdown Or Is It Something Worse? Are Property Price Rises Slowing? There are a lot of reports in the media attempting to suggest that the UK property market is doomed to failure, with the latest House Price Indices (HPI) published by mortgage lenders suggesting that the UK property market is slowing, however there are fears that it might be in more serious trouble. Halifax latest figures show that property prices in the three months prior to September 2014 were 2.7% higher than in the preceding quarter but there was an average 0.6% property price rise across the UK during September, resulting in an average property price of £187,188 (GBP). Halifax say that this is the second successive decline in the quarterly rate and predict that the annual house price growth rate has already peaked at 10% and future growth will be at a considerably slower pace.